Love triangles and janam-patrikas ... complex stuff indeed. 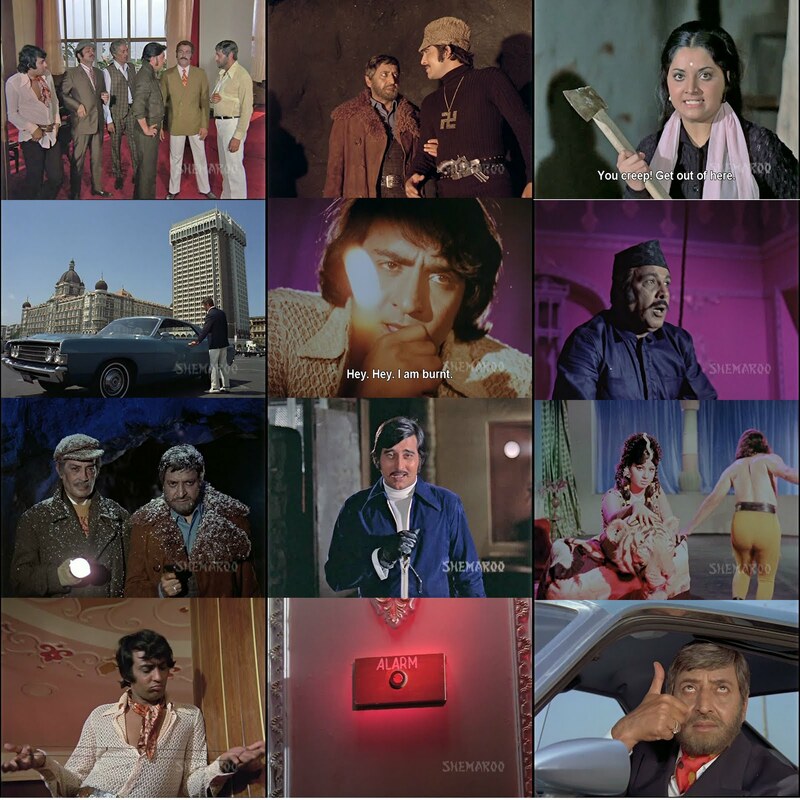 These are some of the main elements thrown out there in Badaltey Rishtey (1978) starring Rishi Kapoor, Reena Roy and Jeetendra. Love triangles are a typical Bollywood plot device, and one that has enraptured audiences for ages. Hell, they even enrapture the youth of America (Twilight, anyone?). 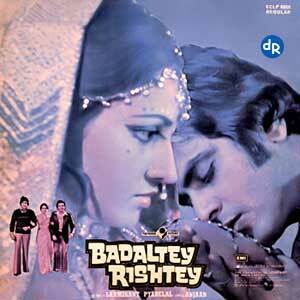 But Badaltey Rishtey is a slightly twisted love triangle film, with a twist. Manohar Dhani (Rishi Kapoor) is a happy-go-lucky orphan who works multiple jobs (among them, doing guided tours of Simla) while pursuing his graduate degree. 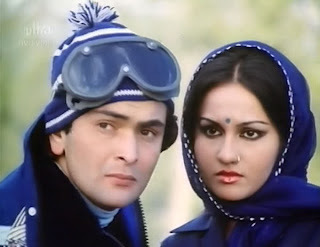 A chance meeting with Savitri (Reena Roy) at the train station results in love at first sight, at least for Manohar. Savitri requires some woo-ing, and if you know Rishi like I do, woo-ing is what he does best. Manohar, being a crafty, resourceful fellow, poses as a delivery Ande-wallah (egg-seller) to visit Savitri daily until he is able to charm her into meeting him. Savitri, seeing his sweet nature and optimism despite the fact that he is alone in life, falls in love with him. Hurray! Oh wait. 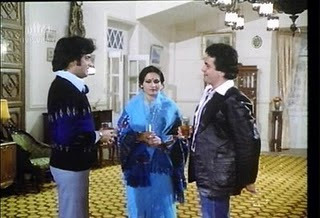 Because Savitri is such a perfect, delicate flower, she also attracts the attention of Sagar (Jeetendra), a wealthy businessman whose family lives in Simla. Savitri, coming from a modest family, teaches music to earn a living. She lives with her aging mother and her brother (Asrani) who works as a painting contractor. One of her students, Prema (Rachna Bhatt), happens to be Sagar's younger sister. Savitri arrives for Prema's lesson just as Sagar has returned home, and literally falls into his arms (she's a klutz! It's so attractive, just like Bella from Twilight!). Then Prema plays a recording of Savitri singing, and Sagar is a goner. He begins moping around the house, listening to the recording over and over and painting pictures of Savitri. When he attends Savitri's music performance, he insists that she must sing the song for his sake, and gets all googly eyes when she does, not knowing she is singing to Manohar. His sister-in-law (played by the delightful Shoba Khote) notes what's going on and resolves to get him together with Savitri. Sagar also loans a large sum of money to Savitri's brother, who he seems to vaguely be friends with. Clearly there are ulterior motives for his generosity. Sagar's sister-in-law approaches Savitri's mother (Dina Pathak) with a proposal, and the mother is absolutely thrilled. She feels that their family astrologer's predictions for them to attain wealth is finally being realized. Savitri refuses the proposal because she is already in love with Manohar, and her mother immediately uses her 'Maa' powers to summon a heart attack and get herself hospitalized to get back at Savitri. The mother's illness had also been predicted by the astrologer, down to the exact date. Meanwhile on a romantic romp in the snow, Manohar is seriously injured and hospitalized. Savitri is distraught, and her guilt increases when her friend tells her another aspect to her astrological predictions -- Savitri is destined to marry, but her husband will be in grave danger for the first 40 days of their marriage and could possibly die. After that, she will be married and live happily ever after. Dun Dun Dunnnnnnnnnnn!!!! Unable to bear the thought of causing Manohar's death and succumbing to intense pressure from her ill mother, Savitri agrees to marry Sagar, but only after telling him about her predicted fate. Sagar is so besotted that he decides to take the risk and marry her anyway. Whatta guy! Leaving Manohar alone with his godfather in the hospital, Savitri marries Sagar. As they leave their wedding, Sagar helps a stranded car on the road and gets into a horrible accident. He survives without a scratch, and everyone waxes poetic about how Savitri has brought good luck to Sagar. When Manohar learns that she has left him, he assumes that she betrayed him and married Sagar for his money. Savitri ends up writing Manohar a letter telling him about the prediction for her future, and says she still loves him and that in 40 days if her husband dies, she will come to him. Whaaaa? The story then takes a wild turn, with Manohar pursuing Savitri relentlessly, pretending to befriend Sagar so he can kill him and reunite with Savitri. Savitri, seeing Manohar's wild behavior, begins to question her love for him. So which guy will survive? Who will Savitri end up with? While not an astounding or groundbreaking film by any means, I will say that this film held my interest, particularly as Manohar's character starts his descent into madness in the second part of the film. Rishi Kapoor is absolutely darling as Manohar in the beginning, and then becomes increasingly threatening. I love Rishi so much that I actually struggled with seeing him in a negative role! But the entire idea is that Manohar IS charming and could easily befriend anyone, so his underhanded ways go unnoticed by everyone except Savitri. He's adorable, flashing his 1,000-watt smile all the way to the bittersweet end. A sweater vest to add to the list of awesome Rishi's Knits! Reena Roy is beautiful but somewhat vapid as Savitri. She spends much of the film with blank, questioning expressions. I did like the fact that Savitri is NOT a perfect character, despite appearances. She is selfish, a bit shady and seems to relish the role of a victim. She does try to redeem herself towards the end, but her choices are definitely not the smartest or most moral. I mean if someone is trying to poison your husband, you really ought to tell someone (preferably the police). 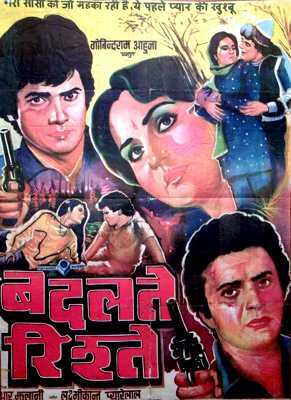 Jeetendra plays the consummate good guy, albeit a bit stalker-ish in the beginning. He's loyal, friendly, upstanding and patient with Savitri. He's the only character of the three that doesn't represent 'shades of gray' between good and bad. Therefore, he is the character I find most boring. The one sort of funny thing about Sagar is how excited he is to get it on with Savitri. He talks incessantly about their 'Suhaag Raat' (honeymoon night, i.e. pow-chicka-pow-pow time), which has been delayed until he survives the 40 days. Talk about foreplay. Sagar is maybe not all that together in the head either, as he talks to his painting of Savitri about how much he wants to DO her. Savitri is a magnet for the crazies! 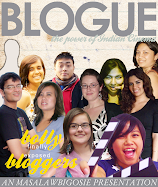 Photo credit: octoberzine.blogspot.com's also fab recap of this film! Asrani, Dina Pathak and Shoba Khote put in good supporting performances, and Rachna Bhatt is quite fresh and lovely as the young sister. The songs were more melancholy in nature, though the title song was quite popular at the time. My favorite of the lot is definitely this one - it's funky and fun, and who doesn't love a romp in the snow with Rishi? As fellow blogger Cindy mentions in her review of this film, as I re-watched this film, I was reminded of Hum Dil De Chuke Sanam and Woh Saat Din. This film does find a way to make you understand and relate to the 'change of heart' far more successfully than those films do, though it is still problematic. It's not a wholly satisfying conclusion, as Cindy also noted, but it does sit a bit better with me than the other two films do. It really is interesting how this film explores, in a way, the potential dark side to Rishi's charm. He's pretty convincing as both a charmer and a possible sociopath. Iconic SPB - some of my favorite Bala songs!